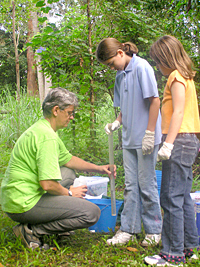 Originally, the local community worked together with students and teachers on bushland adjoining Ferny Grove High School. 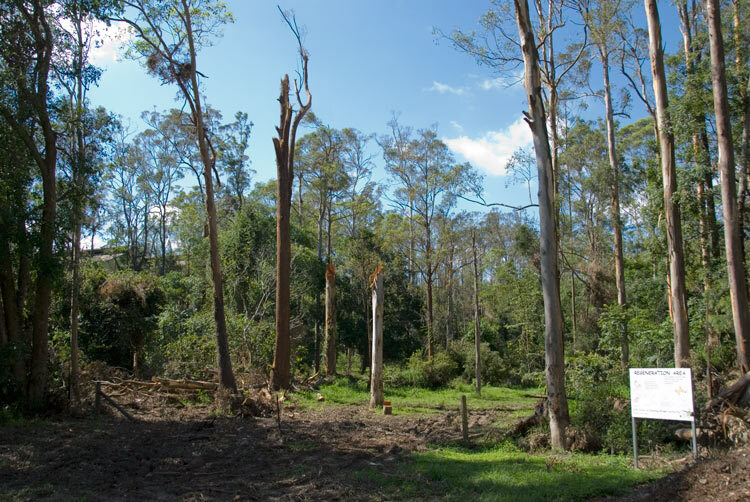 They aimed to restore riparian vegetation to a section of parkland along the lower portion of Cedar Creek, a tributary of Kedron Brook. The section lies just North and South of the road bridge in Tramway Street (UBD Ref. Map 137 L3). 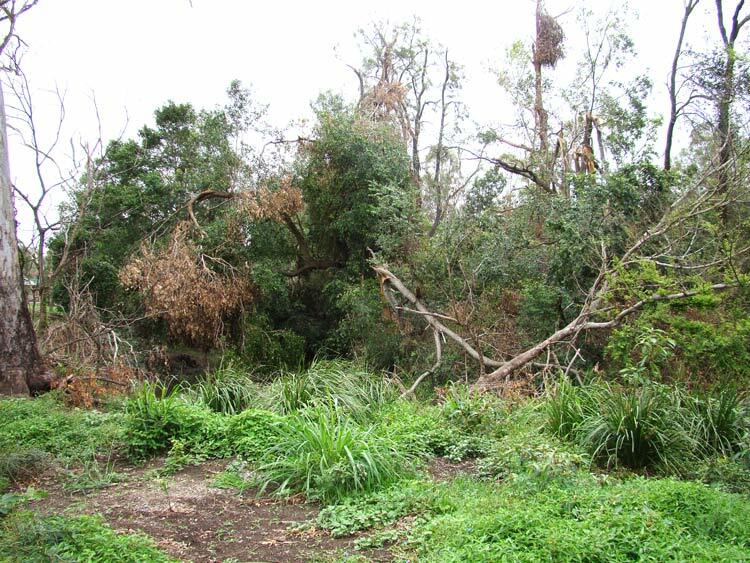 The area varies from dry sclerophyll forest on top of higher ground through to small areas of remnant rainforest to areas completely covered with exotic weeds such as Morning Glory, Madeira Vine and Guinea grass. 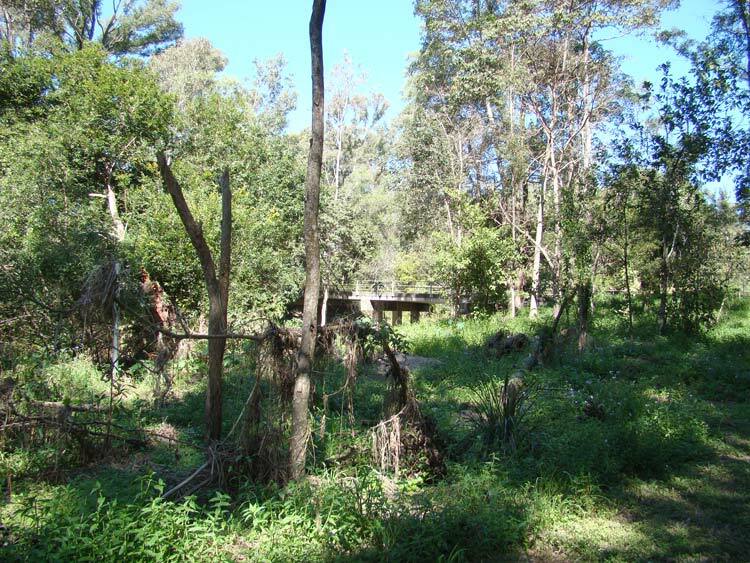 This section was one of the first areas in the Brisbane City area for the weed Dyschoriste depressa to be found soon after 2000. 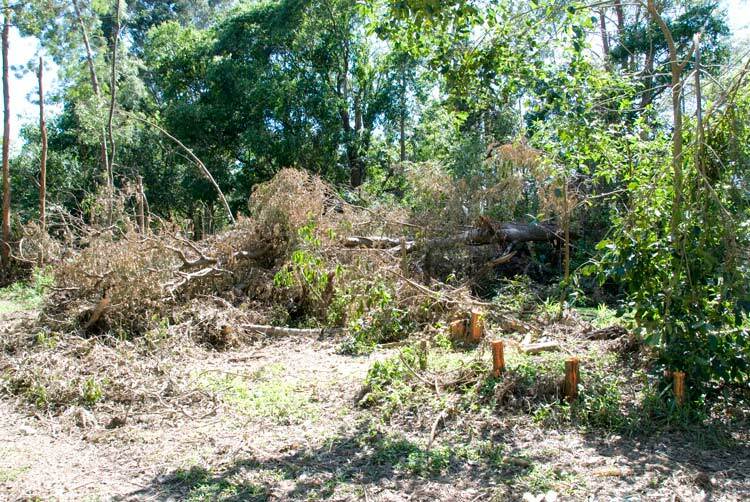 This highly invasive weed was thought to have been spread through contaminated mowers and is a serious threat at a number of forest remnants such as Sparkes Hill Water Reserve along Kedron Brook. The Arbor Park project was started in 1994 when a small group of students entered a competition to establish a permaculture garden. They approached Brisbane City Council for permission to use the park. This involved removing an enormous amount of lantana. 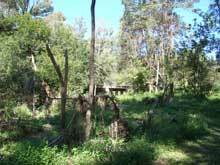 A few years later, Brisbane City Council approached the school with respect to maintaining the areas around the garden. This encouraged the school to use the park for education of their students and to set up community revegetation days for the local community. They were helped in this by a grant from Pioneer Concrete that allowed them to buy materials such as tube stock and stakes. The high school also has a small school nursery on site that allows teachers and their students to propagate some of our local species. 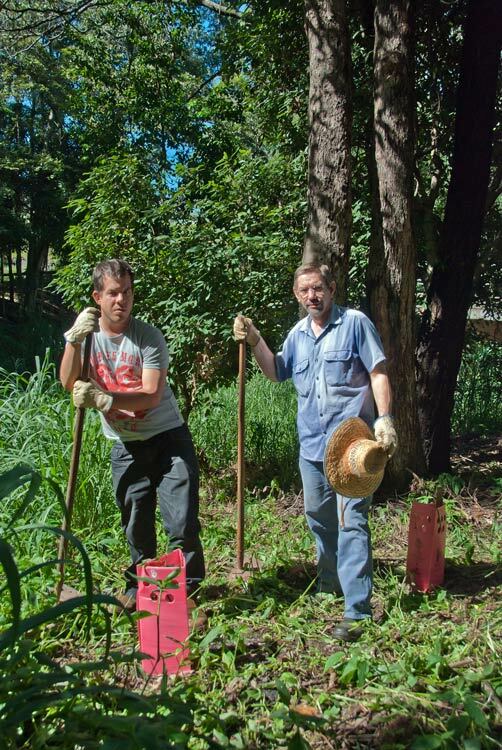 An offshoot of the project, was that two of the school's students, Tristan and Andrew, expanded the area together as part of the Men Of The Trees organisation of volunteers with great enthusiasm! 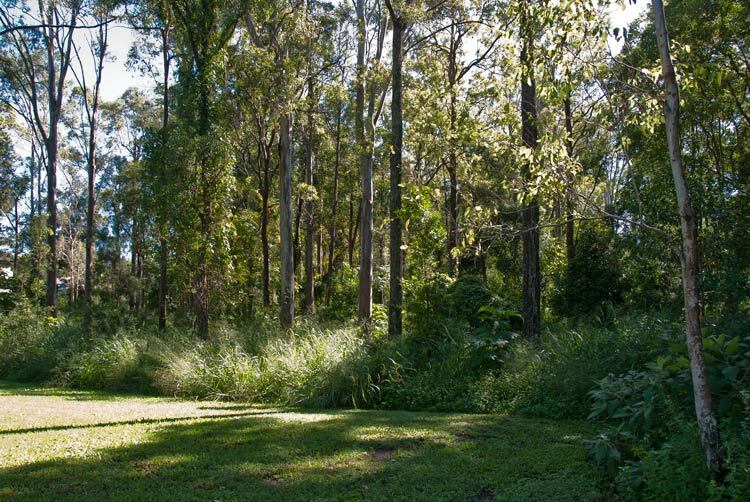 See Cedar Creek Bushcare Group that gives the history of the early progress in the adjoining parkland near the Police Station called Ferny Grove Parkland. From about 1998, leadership of the group was taken over by John Jordaan, who with other members of the community, has maintained steady progress since that time. 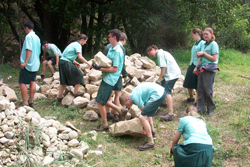 The high school students were very busy during the last term of 2003 with their Frog Habitat. They were helped considerably by the fact that three of their students, Bronwen Wynn-Hughes, Melissa Attwater and Sheree Osbourne, won the high school section of the Waterwise garden competition. Part of their prize was three days on-ground support from Conservation Volunteers, with two of these days spent working on the frog habitat beside the students. The project involved clearing the rubbish from the site, laying down geofabric, placing 6 cubic metres of large rocks on the fabric and then filling with small stones and concrete blend. This sounds so easy! Finally, the mix was watered in lightly. The students seemed to enjoy this bit the most. In 2005, suitable signage was placed up around the site with Janet White's valuable creative assistance. About 2008, a large area of guinea grass in Arbor Park was slashed and vines removed or poisoned . 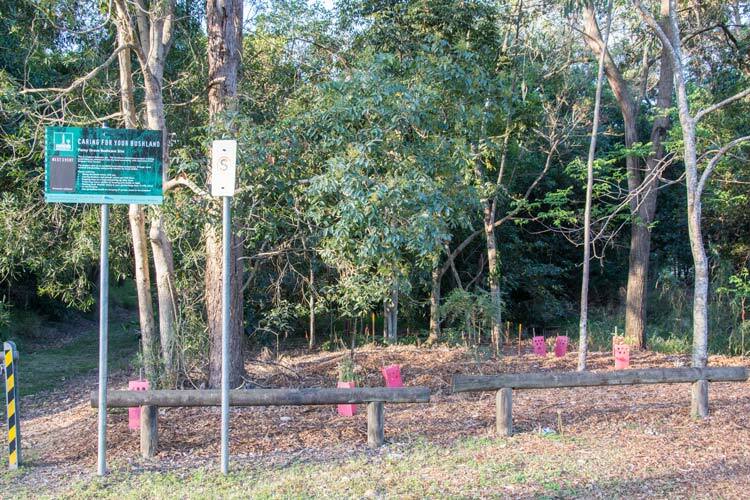 In June 2008, a thousand natives were planted by Men of the Trees (MOTT), Rotary Club of Mitchelton, Ferny Grove State High School, local volunteers and staff and management of Brisbane City Council. It was hoped that this successful project would allow a regenerated understory of natives to take over. Sadly, by the end of 2012, this park had been allowed by BCC to regress to its previous state, wherein the guinea grass had not been controlled but was allowed to take over again. However, the result of the planting was not completely wasted. That area now had a good well developed understory but both native and weedy vines are have become rampant over large trees. MOTT are hopeful that BCC will allow them to help convert this park area to its former glory. John Jordaan also works in partnership with the Keperra Kings Lioness Club which is a group initiative for young adults with a disability. This Lioness Club is supported by both the Golden Valley and the Keperra Lions Clubs. The Keperra Kings joined the bushcare program in 2004 and since this time John has worked with members of this group. He helped changes to take place that benefited both the local environment and group members. The purpose of the Keperra Kings group is to develop member's personal skills and social interaction and to carry out projects in support of the community. Bushcare is a great vehicle for achieving these objectives and John has done a great job with the Keperra Kings to restore riparian vegetation to a lower portion of Cedar Creek (a tributary of Kedron Brook) at Arbor Park. 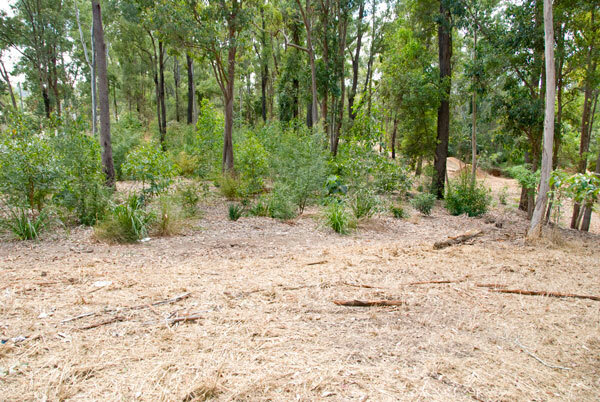 The Ferny Grove Bushcare group continues to work to improve natural habitat by removing weeds and replanting, where necessary with local native species. 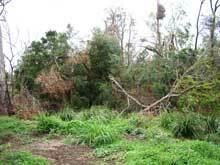 There are three different Regional Ecosystems within the bushcare site. One of them (12.3.1 Riverine wetland or fringing riverine wetland) is endangered. Therefore the work the group are doing is vitally important in helping to conserve and restore this very special area. One of the biggest challenges for the group is keeping on top of the Madiera vine infestation; however nothing seems to deter the group's enthusiasm for continuing their bushcare work. Usually, the group meets on the Sunday after the second Friday of the month. These activities are advertised on a notice board near the roadbridge..